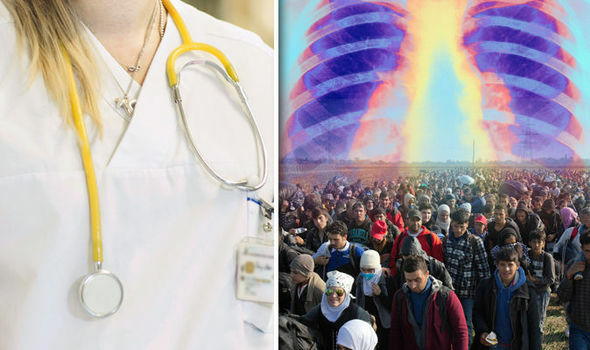 A DOCTOR working in German hospitals has revealed the horrifying chaos which could face the NHS if thousands of migrants from the Middle East manage to reach Britain. 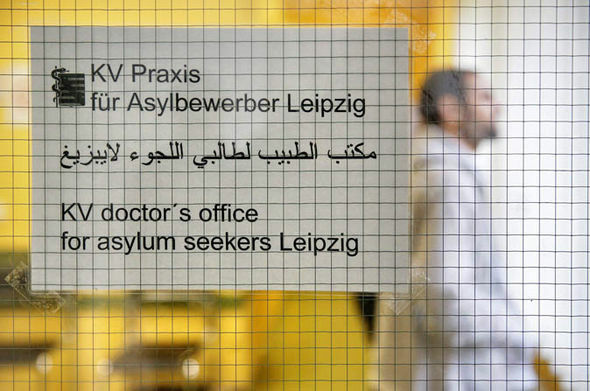 The female anaesthetist said the German health service has been completely overwhelmed by the influx of Muslim asylum-seekers who are REFUSING to be treated by female medics. In a furious outburst the experienced doctor said hospitals simply cannot cope because so many of the migrants require treatments for diseases long since eradicated in Europe. She also shockingly claimed migrant parents are abandoning their children at pharmacies across the country after being told that they have to pay a prescription charge for lifesaving drugs. She also claimed huge numbers of the asylum-seekers have Victorian diseases including TB, which they risk passing on to locals. Meanwhile, German authorities have been forced to post police at hospitals around the country after others got involved in angry clashes with medics over cultural differences. She said: “Clinics cannot handle emergencies, so they are starting to send everything to the hospitals. “Many Muslims are refusing treatment by female staff. Relations between the staff and migrants are going from bad to worse. “Many migrants have AIDS, syphilis, open TB and many exotic diseases that we, in Europe, do not know how to treat them. “If they receive a prescription in the pharmacy, they learn they have to pay cash. “This leads to unbelievable outbursts, especially when it is about drugs for the children. Her remarks provide a shocking warning about what could happen to our NHS if huge numbers of migrants were allowed to enter Britain. She said that the estimated 1.3million migrants who have entered the country are “completely unemployable” because they do not speak the language. In one shocking incident medic also claimed how migrants STABBED the doctors who tried to save a tiny eight-month-old baby which had been “dragged across half of Europe for three months”. She said: “The child died in two days, despite having received top care at one of the best pediatric clinics in Germany. “The physician had to undergo surgery and two nurses are laid up in the ICU. Nobody has been punished. “The local press is forbidden to write about it, so we know about it through email. “What would have happened to a German if he had stabbed a doctor and nurses with a knife? 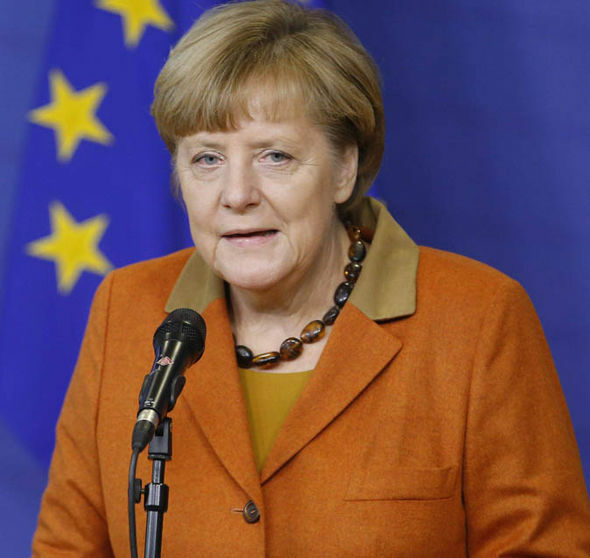 In a scathing attack she also savaged aid workers who turned out with ‘Refugees Welcome’ banners to provide food and clothes to migrants crossing the German border, accusing them of profiteering from the crisis. She said: “If it were up to me I would round up all these greeters and bring them here first to our hospital’s emergency ward, as attendants. However, A World Health Organization (WHO) spokesman refuted claims that German hospitals were struggling to cope with the number of refugees. He said: “No country which is receiving refugees has come to the WHO for assistance or to ask for backup. They have been telling us that their systems are coping with this and all is fine. The WHO spokesman also said there were some concerns about cholera coming to the West from Iraqi and Syrian refugees, particularly because in 80 per cent of cases it does not show symptoms, but that in a normal, Western city, cholera would not be a big problem because cholera spreads through the water system and Western cities have safe supplies with sewage and drinking water pipes completely separate. EU must ensure that its external borders are secure, and that states are responsible for this. Should they not ensure the security then they are offered support and if this fails they are removed from the EU. There can be no more dithering on what obligations any state has, we either adhere to laws or the anarchy continues. One thing is for sure and that this reckless attitude of passing the problem deeper and deeper into Europe is not the answer. Hungary is the only country to date to take the required actions under its member responsibilities. There needs to be a 250 mile fence erected immediately along the EU/Turkey border effectively stopping 100% of foot traffic from this route, this in conjunction with a rigid policy of returning immediately all boat arrivals to wherever they sailed from Turkey as this is a recognised safe area. The northern African coast monitored by high speed patrol vessels and any trafficking boat turned back to shore/emptied then disabled. A few simple actions and the flow of people will stop virtually overnight, just as happened when Hungary took action. All we require is the political will instead of dithering/handwringing. Cost wise, it is both cheaper financially and socially. The governing powers need to ask themselves…. Is there any end in sight of this flow ever stopping if we do not take actions. The answer there is no. There is no stopping the flow unless it is stopped by actions. When will the EU take the necessary action. after 1 million… 2-3-4-5million? Just when will they do the required thing. NEVER UNLESS WE TAKE ACTION NOW.. Gives a more complete picture of Hungary. Many Muslims who have come to Europe reject much of what is European – except for the fact that here the life is taken care of. And the proof is in how these so-called refugees and migrants are behaving once the reach Europe – few if any are stopping in the first country – and saying ~ at least now we are safe. No, they are travelling on – careful to avoid giving their details in countries which don’t offer generous benefits – and the all important right to have one’s relatives gain citizenship in those countries – which most would not disagree with. But Muslims have abused the system – where their lives center around marrying their children to those in the old country so another and another can immigrate. The Left take no responsibility. To suggest change – they say is ‘racism’. But this type of immigration is not helping the countries they migrate to. These newcomers don’t have the skills needed for a developed nation. Which means that in many areas – some 60% live on state assistance. The popular argument is Europe needs even more immigration. But the question should be – what happened to the immigrants – countries like France, Germany and Sweden already have? It is no wonder that Eastern Europe is looking a Western Europe’s mistakes. They know that a large Muslim population in their country is a recipe for disaster. Look at the recommendation by the Coexist thinktank the other day – as to not ‘offend’ Muslims there should be no bacon or ham sandwiches served at work. And further – eating the favorite meal is a ‘sign of bigotry’. In Sweden, a clergywoman suggested all crosses be removed from the sides of churches to welcome the mainly Muslim migrants. That would make our countries just like the one’s Muslim migrants are fleeing – where that open display of other religions’ symbols are not tolerated. And here is where the far-Left come in to save the day. All who dare mention the attack on western customs – are to be labeled racists[Islomphobes], hateful and intolerant – and their freedom of expression should be denied. The Eastern Europeans smell a rat. :: Europe is an idea – and many Muslims reject its ideals and instead live in the hope of the perfect Islamicly led government – so that it produces a clash. Racism is the byword of the moment – but it has nothing to do with race. It’s about religion. And in a free society – you cannot be told how to think and feel about a religion – by force of law. Or perhaps – ham sandwiches today – mark a sign of bigotry – our cherished freedoms tomorrow. One of the main reasons Lloyds is now looking attractive to private investors is that the bank is starting to recover its status as a dividend giant, after years of making no payouts following the financial crisis of 2008. It is expected to yield 3.5 per cent this year, 5 per cent in 2016 and a chunky 6.6 per cent in 2017. This compares well with the 1.65 per cent yield on the best easy access savings account and the 1.7 per cent available on a 10-year Government bond. The Government has said investors applying for less than £1,000 of shares will be given priority. Someone investing £1,000 could expect a £50 initial discount, a dividend totalling £50 in 2016 and a further £100 in bonus shares after holding the initial investment for 12 months. However small investors buying modest amounts of Lloyds shares may not gain any extra benefit from putting their holdings into an Isa or Sipp. From next April the Government will not tax the first £5,000 of annual dividend income so, assuming you had no other dividend-paying investments, you would need to be holding more than £100,000 of Lloyds shares before you started being taxed on your dividends. In the same way any gains you made on a modest investment of, say, £5,000 or £10,000 in Lloyds would almost certainly, at least in the first few years, be absorbed by your annual CGT allowance, currently at £11,100. 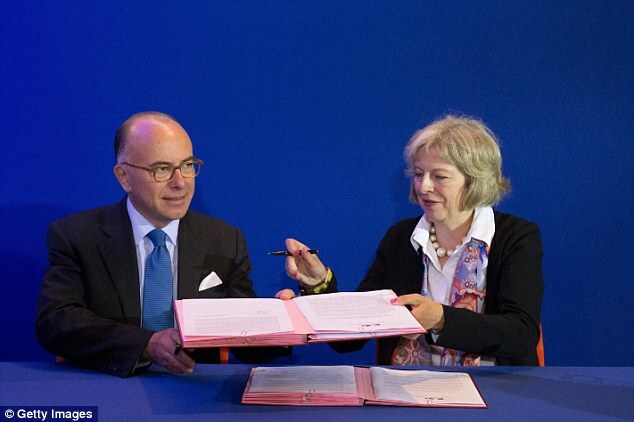 Home Secretary Theresa May travelled to Calais yesterday to sign an agreement with the French designed to halt illegal immigration to Britain. How’s that going to work out, then? If every other treaty France has ever signed is anything to go by, it won’t be worth the paper it’s written on. The French will always, always put their own national interests first: whether that involves sucking up to Saddam Hussein and to the mad mullahs of Iran in exchange for cheap oil, or shovelling migrants across the Channel. International solidarity? UN resolutions? EU laws? And you know what? Good for them. At least they try to do what’s best for their own people, as we know from bitter experience. Ladies and gentlemen of the jury, here’s an extract from a column I wrote in the Daily Mail, back in …well, see if you can guess. ‘Why can’t we be more like the French? So concerned are we at being seen to do the right thing, to play the international diplomatic game, to be ‘good Europeans’, that British interests always come last. I’ve always had the greatest admiration for the way in which the French look after themselves. At home and abroad, their strategic and economic interests are paramount. Compare the British and French attitudes to Europe. They fashioned the EC and the Common Agricultural and Fisheries policies to serve their own ends. When French and Spanish fishermen come to blows, the French send gunboats to defend their fleet. When our fishermen come to blows with the Spanish, our Government sends the Navy to arrest British fishermen. French riot policemen stand back and watch as farmers burn lorries full of British lamb. When an unpopular directive comes out of Brussels, the French ignore it. We make it a criminal offence and send in teams of inspectors to enforce the law. 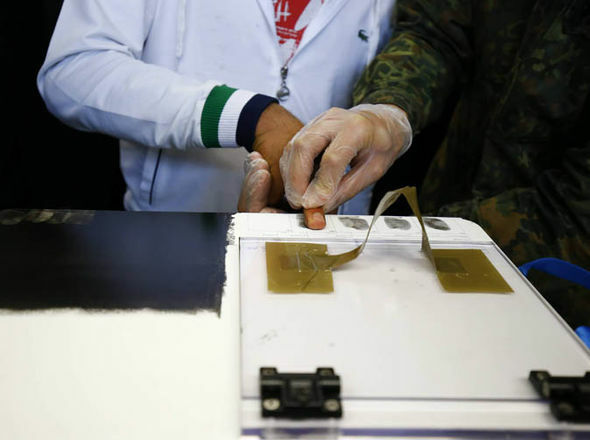 The French approach is both pragmatic and democratic. French ministers know that if they try to impose unpopular laws there will be riots in the streets. The French get a better deal out of the Common Fisheries Policy because their fishermen are prepared to blockade ports and burn down buildings. Can you imagine the reaction if the French government announced that from October 1 it would become a criminal offence, punishable by a 50,000 franc fine or prison, for apples or meat to be sold in metric measures? There would be civil disobedience on an unprecedented scale. Town Halls would be razed to the ground. Paris would grind to a halt under the weight of ten million demonstrators. The government would fall. Yet in Britain, the imposition of metrication backed by draconian penalties is sneaked through without so much as a debate in Parliament. While the French government acts on behalf of the majority, the British authorities are obsessed with the rights of minorities, however wrong-headed. In France, when anarchists try to prevent the building of a new TGV railway line, they are dispersed with ruthless efficiency. In Britain, when New Age layabouts block motorway construction, the police negotiate with them politely and make sure they’ve got enough to eat and drink. France is the most politically incorrect nation in Europe. The government there recently announced plans to deport a planeload of illegal immigrants every day. Have you worked out when that first appeared? It could have been written yesterday. The only give-aways are the use of ‘EC’ and ‘francs’. 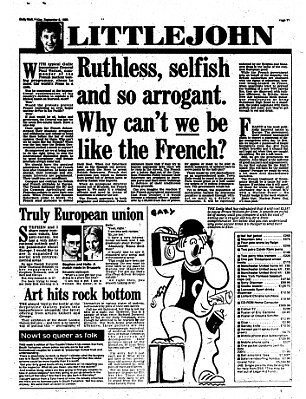 In fact, it was published in the Mail on Friday, September 8, 1995 — almost exactly 20 years ago, before the EC morphed into the EU and the euro replaced most of the currencies on mainland Europe. Wise words, but please read the detailed analysis at the end of this article. Australia says NO — This will be the second Time Julia Gillard has done this! She sure isn’t backing down on her hard line stance and one has to appreciate her belief in the rights of her native countrymen. A breath of fresh air to see someone lead. Australian Prime Minister does it again!! The whole world needs a leader like this! NOTE: IF we circulate this amongst ourselves in Canada & USA , WE will find the courage to start speaking and voicing the same truths. This message, which circulates via email and social media, claims that Australian Prime Minister Julia Gillard recently told Muslims living in Australia that they should leave the country if they wished to live under Islamic Sharia law. According to the message, the Gillard government is targeting radicals in a bid to head off potential terror attacks and supports the monitoring of Mosques by spy agencies. The message, couched as a news report, goes on to quote a diatribe about immigration supposedly delivered by Gillard. However, Julia Gillard did not make the comments attributed to her. In fact, the message is nothing more than a revamped version of much earlier messages that involved previous Australian Prime Ministers. The first version of the message claimed that it was Prime Minister John Howard who made the remarks. A later version attributed the comments to Prime Minister Kevin Rudd. While the original Howard version did contain some elements of truth, both the Rudd and Gillard versions have no basis in fact. The first part of the message suggests that Prime Minister Gillard told Muslims who wished to live under Islamic Sharia law that they should get out of Australia. It is true that, back in 2005, a high profile Australian political leader did make comments suggesting that Islamic extremists who desired to turn Australia into an Islamic state should leave. However, it was in fact then Federal Treasurer Peter Costello who actually uttered the comments. It is also true that – again in 2005 – then Prime Minister John Howard gave government support to spy agencies monitoring the nation’s mosques. I discuss the original John Howard version of the message in more detail in a separate article here. The next part of the message transcribes what is claimed to be a speech delivered by Julia Gillard detailing her policies and thoughts on immigration. The piece calls on immigrants to learn English, adapt to Australian values and lifestyle and pointedly reminds them that they always have the right to leave if they are unhappy in their adopted country. However, the quoted words were not uttered by Julia Gillard and were circulating in various forms years before she supposedly said them. In fact, the words were originally intended for an American audience and were part of a longer piece penned by Barry Loudermilk, a US Air Force veteran and columnist for a local newspaper in the American state of Georgia. Loudermilk wrote the article as a means of expressing his personal views on patriotism and immigration in post-9/11 America. The bottom line? Gillard never made the remarks attributed to her in this message. Neither did Rudd. And, despite some elements of truth in the original version, Howard never said the quoted words either. Sending on false and misleading information such as this will help nobody. 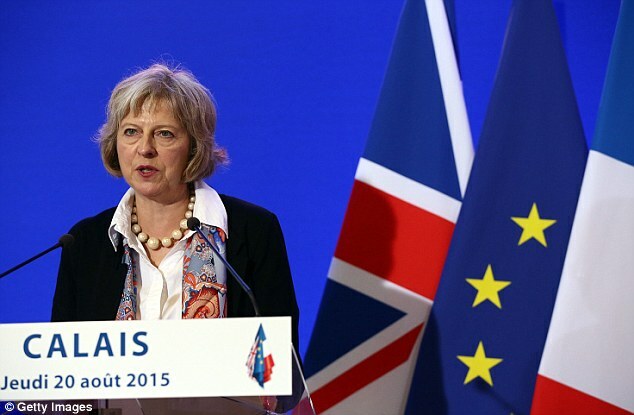 Crusader : What every British voter should consider regarding the E.U. 2 – We are giving billions of “OUR” money; taxes to Brussels and receive little back in return apart from idiots legislating our Vacuum cleaners and; reported Hair Dryers. 3 – This week, milllions spent on new cutlery for the elite in Brussels; our money. 4- Business, those who say we must stay are lying, they only consider themselves and their stocks and shares. 5 – Brussels; to a large extent; an unelected government at the top, who knew where or who war Rumpey; never heard of him or for that matterJunkers; did you vote for him, “NO” you, we did not and had no say in that at all. 6 – We are scared into believing that to leave the EU will be disaserrous, but for whom; those at the top, the Rich. 7 – Europe; historically have been our enemies, history does not lie and we must remember that forever more as a lesson. 8 – If we leave we are told that Europe will not let us forget; wonder why, they need us more than we need them, their dream was doomed to fail at before it got off the ground; collecting nations to form the club when no economies were on a par; it cannot work and it will not work. 9 – Ask yourself, do you want more legislation by created by unelected and unkown people abroad, do you want more rubbis business red tape that cripples your business, do you want a Euro Army run by Brussels, a Euro police Stasi Force that will treat you like surfs, slaves and second class citizens; because the European care not one jot about you or I, only that we have the world’s best monetary center, The City, they want that. So….VOT TO SAY “NO” or be slaves to unelected people in another land operating a corrupt organisation that is parasitic to us all.